A luxurious combination made from 18 karat gold, unique design, and a brilliant diamond: shaped like an asymmetric circle, the Luna Piccolissima earrings resemble the moon in precious 18 karat gold. 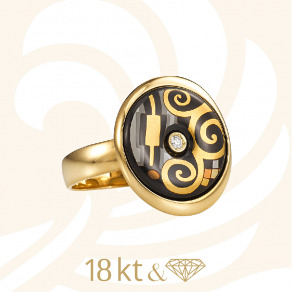 Their graceful appearance puts the diamond and artistically designed fire enamel centre stage. 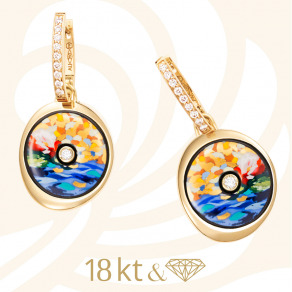 A beautiful clip adorned with nine brilliant diamonds highlights the colourful enamel design with a luxurious sparkle. The bright lights in Las Vegas will soon be shining on the latest looks as the jewellery industry travels to Sin City, and you won’t want to miss a thing. 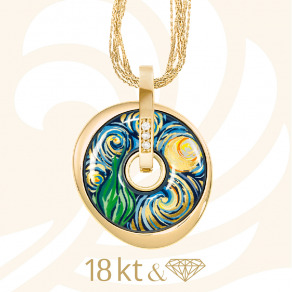 Here is a sneak peek of what you can expect to see at JCK this June.